We designed this half round curio for people with a penchant for modern elegance energized by strong silhouettes. 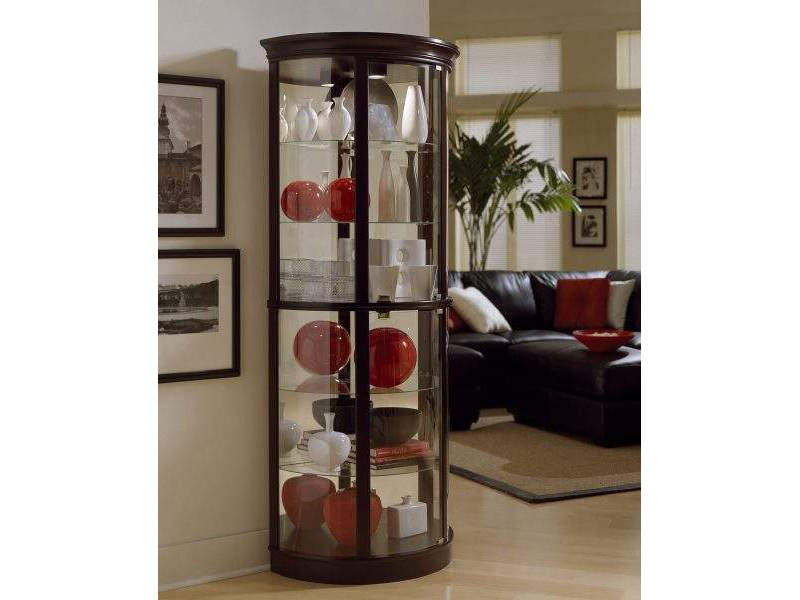 The mirror Curio is built in select hardwood solids and Veneers with a dark and sophisticated Chocolate Cherry II finish. This Curio is Suitable for modern Or traditional interiors. It features glass doors, a mirrored back, interior lighting, adjustable glass shelves, and adjustable glides for leveling.